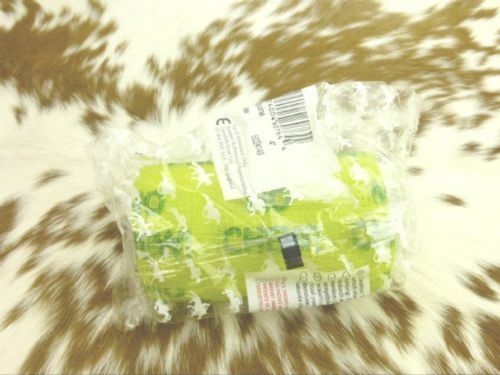 At last: a bandage with chewing deterrent built right in! 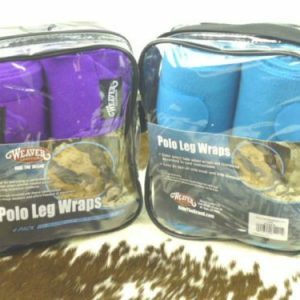 The PowerFlex® No Chew Bandage has a bitter taste to discourage horses from biting, chewing and tearing at their wound protection. 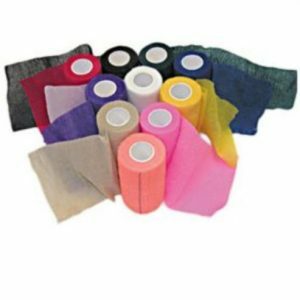 This flexible, breathable, self-adhesive, controlled compression bandage will conform to the bandage area easily but without constriction. 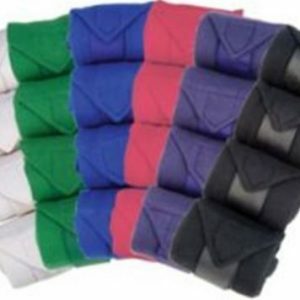 It has a strong, 23-lb tensile strength yet can be easily torn to the desired length by hand – no scissors needed. 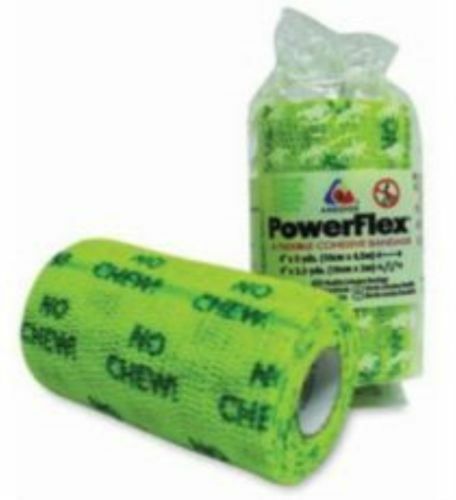 PowerFlex® No Chew Bandage is safe for horses, humans, and pets. 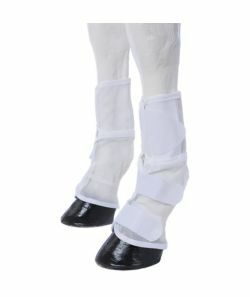 Water, sweat and abrasion-resistant. 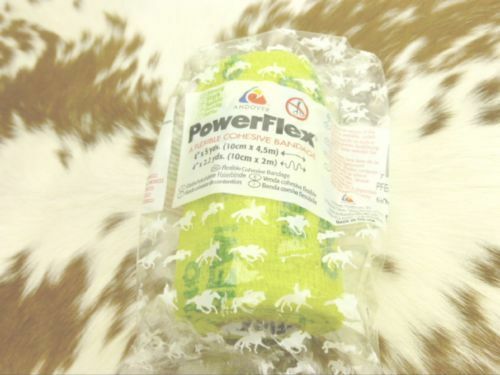 Caution: Although Powerflex® No-Chew Bandages are safe for horses, pets, and humans, they may, however, leave a residue on your hands after use. Gloves are strongly recommended.